Question: I've Lost My Passion to Paint, Any Ideas? Several thoughts occur to me, relating to the damage done the rave reviews you got for this early painting and about the cost of art supplies. But first, was Art and Fear amongst the books you've been reading? I think this little book is unbeatable in addressing the fears and self-doubts that arise in the creation of paintings. My copy is full of underlined passages, and I dip into it regularly to remind myself. Here's a sample quote, from page five: "The function of the overwhelming majority of your artwork is simply to teach you how to make the small fraction of your artwork that soars." Having accepted other people's judgment of your fourth painting as the standard to which you should aspire, you're trying to recreate that painting every time you start a new one. That's destined for failure as you're not giving yourself creative space but setting parameters before you've started. The joy of painting comes from the act of creation far more than the finished product. And you have to give yourself permission to risk failure and to learn/explore during the process. Read the article Dancing a Painting for a fuller explanation of this. Worrying about wasting art supplies is extremely inhibiting because every time you squeeze a bit out of a tube you're thinking about how much it costs. You hesitate to rework or scraping off a section even when you know it's flawed because it feels like a waste. The worry saps your enjoyment. There's no doubt that decent oil paints and canvas aren't cheap, so keep an eye out at your local art supplies store for any special deals or sale and have a little bit of money put to one side for when this happens. If an online store offers special deals or free delivery for bulk orders, see if you can't find some friends or an art society to do a combined order. 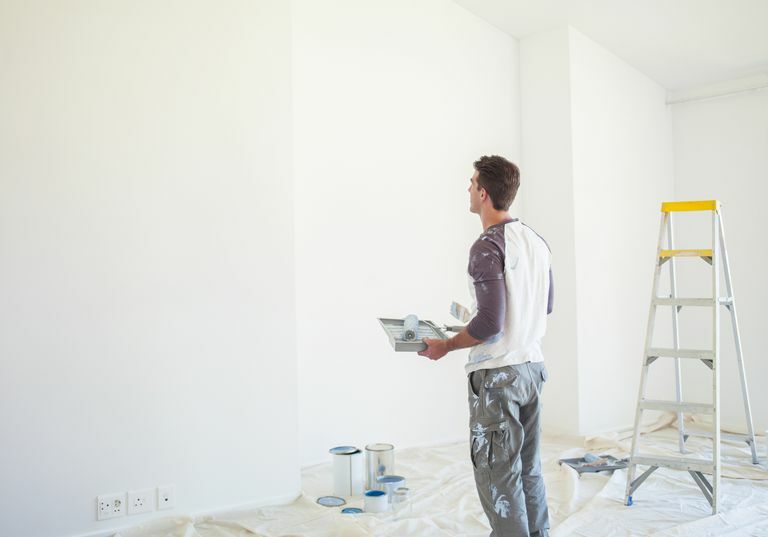 Save paint by working on smaller canvases rather than big ones. Save on the expense of canvas by painting on cardboard or scrap bits of wood that you prime yourself. Learn to stretch your own canvases (but check the cost of stretchers, staples, canvas, and primer don't come to more than buying ready-made canvases). You can even make your own stretchers if you've some basic woodworking skills (or know someone who does). Limit the number of colors you use, don't be seduced into buying dozens. You'll get to know the properties of each individual color really well and what it'll do when mixed with the others. To get the joy of painting just for the sake of painting back again without the worry of the cost of the art supplies you're using, buy a small set of watercolor paints and a water brush for playing and sketching. I know painting with watercolor is totally different to painting with oils, but many famous painters also used watercolors, including Turner.There is an initial cost, but watercolor paint goes a long way and you can sketch on any piece of paper, including junk mail envelopes. Step back from the pressure of what you've already done. Give yourself permission to not paint "finished paintings" or "good art", to not paint "the whole subject", and to not show anyone else what you've done or working on unless you wish to share. Instead of tackling a whole landscape painting, paint just a bit such as a tree, branch, or texture of the bark. Spend time observing the colors, the shadows and highlights. Paint little swatches of the paints you'd use to mix up the colors in the landscape. Seek enjoyment in observing nature, in noticing the details, the changing in the shifting light. The things that attract you to the landscape in the first place. Write notes, make little drawings, stick in leaves and flowers ... anything and everything that means you're spending time observing, not just taking an instant snapshot. Setting what you aim to achieve on your creative journey by only your fourth painting means you've gotten off the ride at a very early stop. Take joy in knowing that you can and have painted something you were very satisfied with (as were others). Now see what else you might do when you're not focusing on the end result.